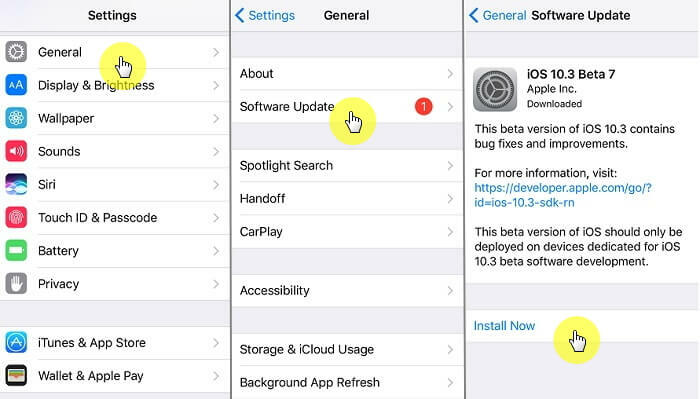 Installing an iOS beta version can have a lot of benefits for your device. But at the same time, the betas can make your device unstable, affecting the daily functions of the device. In case you have installed the beta and you want to remove it, you can do that by going back to the latest public release. In this article we look at some of the ways you can switch from iOS Beta to the official public release. Step 1: Begin by backing up all the data on your device especially your photos and videos that could be lost during the process. Step 2: Download the latest public iOS release to your computer. You can find the download on https://ipsw.me/ Look for the latest version and then download the firmware to your desktop. Step 3: You’ll need to disable “Find My iPhone.” To do that on your device go to Settings > Apple ID > iCloud > Find My iPhone and turn it off. Step 4: Launch iTunes on your computer and then connect the iPhone to your computer using USB cable. Go to the Summary tab on iTunes to see details of the device. Step 5: Now, hold down the Option key or Shift Key on Windows and click “Restore iPhone.” It is very important to hold down the shift key or option key. Step 6: In the new window that appears, select the firmware we downloaded in step 2 above. Step 7: iTunes will proceed to restore the iPhone and install the latest version of iOS on the device. Once the process is complete, you will need to set up the device again. 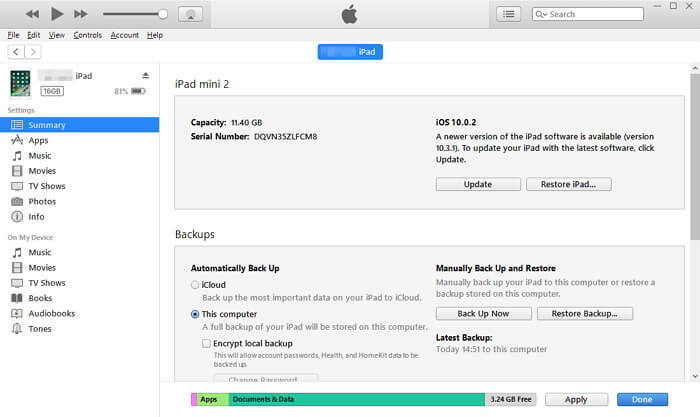 If you had an archived backup, you may be able to restore the device using the backup. 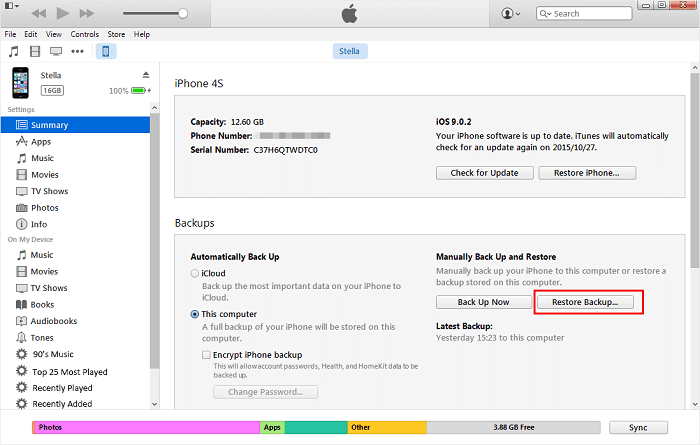 You may not be able to restore the device using the backup you made on the beta version. You second option would be to simply install a latest public version of the software on your device. But this will depend on timing since you have to wait for Apple to release the public version of the software. Step 1: On your iPhone, go to Settings >General > Profile and then tap on the iOS Beta Software Profile. Step 2: Tap on “Delete Profile” and then enter your passcode to confirm that you’d like to delete the beta profile. Your iPhone will reboot. You are still running the public beta but since you’ve deleted the beta profile, you will not be eligible to receive any beta updates in the future. Step 3: Now go back to Settings > General > Software Update and if there is a software update available for the device, you can simply tap “Download and Install” to install it to your device.